We believe that while dementia can have a big impact on the way we function in the world – the world itself also throws up many barriers. Examples of this would be poor signage, or information that is badly written or presented. We believe that by removing these obstacles we can make the world an easier place not just for people with dementia but for all of us to live in. These checklists will help you to look at your own buildings and outside spaces and identify changes you might make to make them easier for people with dementia to use. Unfortunately many of us will also have experiences of buildings which are hard to find, in which you can’t work out where you are going when you get there, or which make us feel unsafe, uncomfortable or disoriented. If so, you will remember how it made you feel. …so if badly designed spaces make those of us without dementia feel anxious, lost and disoriented – the impact upon people with dementia can be profound. Luckily, there is a lot that can be done to make environments easier for people with dementia to use. Unsurprisingly, environments which are accessible to people with dementia also tend to be easier and more pleasant for everyone else as well. They were produced in collaboration with Professor Mary Marshall and tested and refined by DEEP member groups SURF, EDUCATE and the East Kent Forget-me-Nots. Checklist for OUTSIDE public spaces download pdf here. Checklist for INSIDE public spaces download pdf here. Information which is hard to understand is something which most of us find frustrating, and which can present a big barrier to people with dementia. We worked with people with dementia on this brief guide to producing information that is easier for everyone to read. We can help you to create information that is easier to understand and gets your message across more clearly. We work with people with dementia to produce information that is not just easier for people with dementia to use – but easier and more enjoyable for everyone to use and understand. We can help you to make your buildings and services more accessible to people with dementia. We work with people with dementia to audit services and buildings to make them not just easier for people with dementia to use, but for others too. It is our experience that buildings and services which give thought to their accessibility to people with dementia are also more accessible, enjoyable and attractive to other people too. Since 2008 Innovations in Dementia has been at the forefront of work in the area of dementia accessible communities both nationally and internationally. In 2008 we started to think about how information can be made more accessible, through our Start Making Sense project. This project worked with people with dementia to look at how the information we encounter, not just published information, but information in the streetscape and at transport hubs, can impact on us. While we weren’t able at the time to secure funding to continue the project, it sowed the seeds not just for our future work on dementia friendly communities, but also on developing a rights-based approach to dementia. In 2010, the Department of Health asked us to find out from people with dementia what kind of barriers they faced in getting out and about in their communities. The report we produced “Dementia Capable Communities” was the first to articulate the aspirations of people with dementia and their carers in terms of staying connected to their communities in England. It identified the barriers that people faced, as well as some of the features that made communities easier to live in. The report was launched at Department of Health event called “Big Society and Dementia”. While the broader impact of the “Big Society” concept is open to debate – the concept of what became broadly known as ‘dementia friendly communities’ was given a significant boost. Over the next few years we worked on a variety of projects which enabled us to refine our thinking around dementia friendly communities, and hand in hand with that to begin to articulate a rights-based narrative. In 2012 we produced for the Local Government Association a set of guide-lines for local and regional government which laid out what councils could do to make the communities they supported better places for people with dementia. The guidelines am with a set of practical tools which could be used to progress action at a local level. These tools were widely adopted and adapted for use in dozens of councils across the UK, as well as by regional and national dementia organisations in Australia and the US. The LGA guidelines also laid out a conceptual framework for developing dementia friendly communities, called ‘the five domains’ that we, an others still use. The ‘five domains’ approach to building more accessible communities work for organisations and services too. Between 2012 and 2015 we worked with more than 60 local Age UKs across England to help them open up their mainstream service to more people with dementia. Using the Five Domains approach we were able to identify a range of low-cost high-impact solutions across a range of mainstream services. We also worked with other clients looking to improve their accessibility and work differently with people with dementia. We worked with the Royal Albert Memorial Museum in Exeter on a new project to find new ways for the museum to involve and include people with dementia. We worked with people with dementia to support the first Dementia Friendly Communities Conference at the West Yorkshire Playhouse in Leeds. With people with dementia from EDUCATE we conducted an audit of the venue and were able to make lots of suggestions for improvements. We also pro-vided practical and financial support for people with dementia to engage in the event itself. 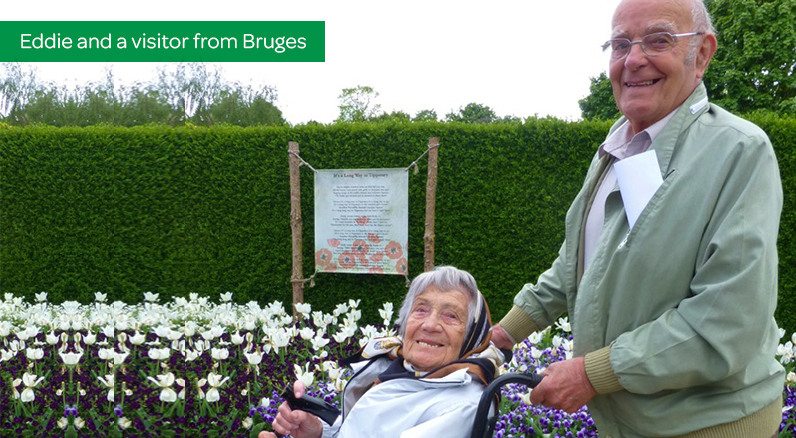 Since 2012 we had been supported by and working with the Joseph Rowntree Foundation on its Dementia Without Walls programme – support dementia-friendly communities, strengthening the collective voice of people with dementia, and encouraging people to think differently about dementia. It was announced that from 2016, the legacy of Dementia without Walls will be carried forward in partnership with Innovations in Dementia. In 2017 Steve started to work with Imogen Blood Associated on evaluations of DFC for the EU Joint Action on Dementia, and for Wigan Council. You can read the Evidence Review on DFC for the EU Joint Action on Dementia here. A quick word about language. Although in our early work we used the phrase ‘dementia capable’ – ‘Dementia Friendly’ is the phrase most often used to describe communities which are working to become better places to live for people with dementia. People with dementia though have become increasingly uncomfortable with the idea that their inclusion in society depends upon and derives from the friendliness of others. For some, ‘dementia friendly’ smacks of beneficence, under which people with dementia connections with the outside world are at the whim go the largesse of others. Many are now using the language of rights to articulate a different narrative about both their experience of dementia, and their place within their communities and broader society. Just as people with physical disabilities saw barriers thrown up as much by the physical environment and the attitude of those around them as by their physical or sensory impairments – so people with dementia are increasingly conscious that there ARE thing that can be done to make it easier for them to stay connected to and active in their communities – and that they have a right to do so. This is why we support those people with dementia who refer to use the term ‘dementia accessible’ communities. Its not perfect of course, and that’s not to say that using ‘dementia friendly’ is bad or wrong – its just that we want to help move the conversation on, and shifting the language where we can is one way to do that. Links to other resources on accessibility.